4 Bedroom Detached House For Sale in Henfield for Offers in excess of £2,000,000. 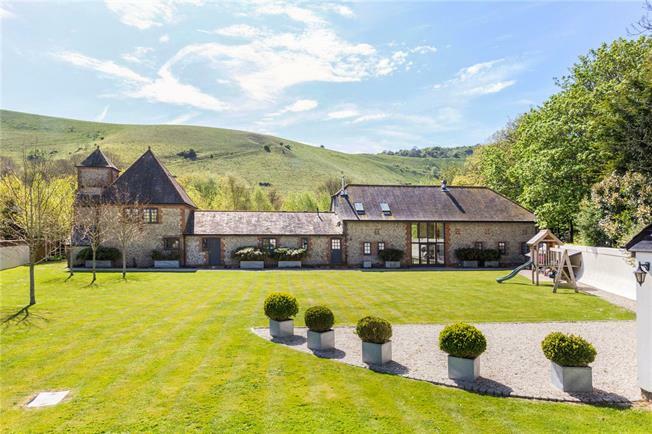 The Dovecote is a sensational award winning barn conversion nestled at the foot of the South Downs within the South Downs National Park. The property offers extremely well planned accommodation. The living accommodation is set in the western barn and offers a sensational full height drawing room with views to the North & South via windows and full height glazing/French Doors, a central fireplace adds interest. This room is open-plan to a beautifully fitted kitchen with a utility room beyond. 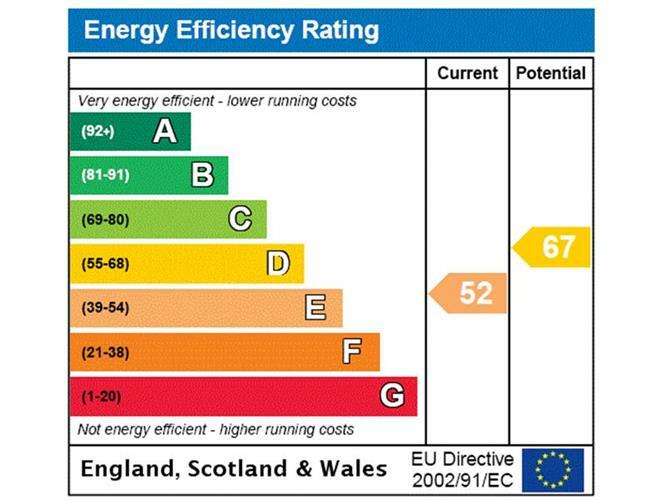 A mezanine levels provides further living space which makes either an ideal snug or study. The bedroom wing provides a family bathroom and four bedrooms, all of them generous double rooms. The ground floor guest suite provides built in wardrobes and an ensuite shower room, together with French doors to the front. On the first floor the master bedroom is a wonderful space with exposed joinery and an amazing wet room within the tower of the dovecote. The whole is accessed via a generous entrance hallway which accesses all the above accommodation, together with a wc. The Dovecote lies within the South Downs National Park close by to St Andrews Church, in the Hamlet of Edburton, within close proximety of the charming Downland village of Fulking, the area is for its period cottages and houses and within a short walk of the popular country inn, The Shepherd and Dog. The village of Henfield which provides an excellent variety of shops and facilities is about 4 miles to the north-west. The larger centres of Horsham and Haywards Heath are about 16 miles and 12 miles respectively. Brighton & Hove are easily accessed over the Downs offering everything you would expect of a bustling City. Nearby are excellent schooling facilities including Burgess Hill School for Girls, Hurstpierpoint College and Steyning Grammar School. Over the surrounding countryside and The South Downs there are many miles of beautiful walks and rides. The Dovecote is accessed via a long sweeping shingled driveway which passes an attractive detached garage on it's way to the front of the barn. The gardens sit to the front and rear of the house, being predominantly set to lawn. The front garden features a number of Silver Bich trees, organied to provide dappled shade to the front of the house. There is a deck to the front of the property, leading from the drawing room for dining with a view of the Downs. To the rear can be found a detached store and a further three bay timber building. Beyond this is a concreted forecourt and then a driveway to the large field. In total the whole amounts to some 12.1 acres.